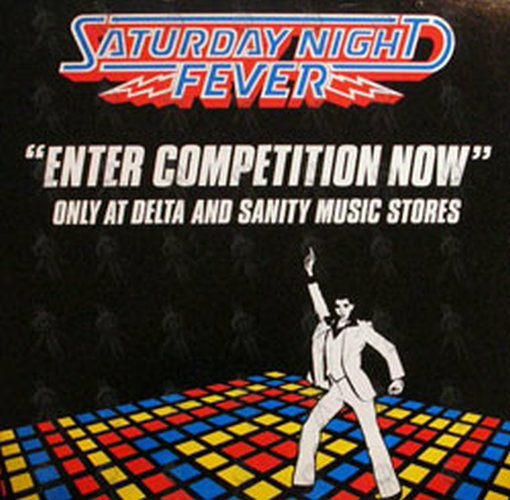 Full colour, double sided cardboard flat with Saturday Night Fever title logo and competition information. 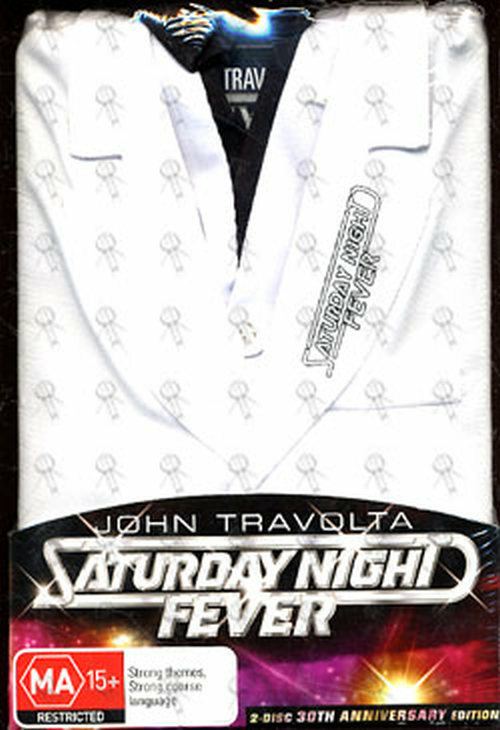 Official promotional item. 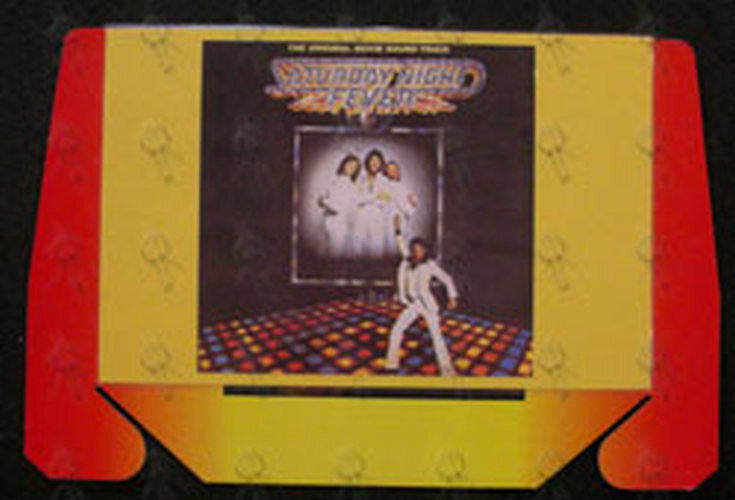 Approximately 25 & 1/2″ x 25 & 1/2″ in size.